Dell EMC, a part of Dell Technologies, has launched its newly-updated storage portfolio refreshed with enterprise-grade capabilities designed to provide IT departments with the technology required to modernise their data centre. The company recently extended its entry-level SC Series offering with the affordable new SCv3000 arrays, which will available to customers across the Middle East, said a statement from the company. This extended portfolio provides unprecedented access to advanced storage technology for businesses of all sizes and budgets, it said. In addition, regional organisations will be able to procure the previously announced XtremIO X2. 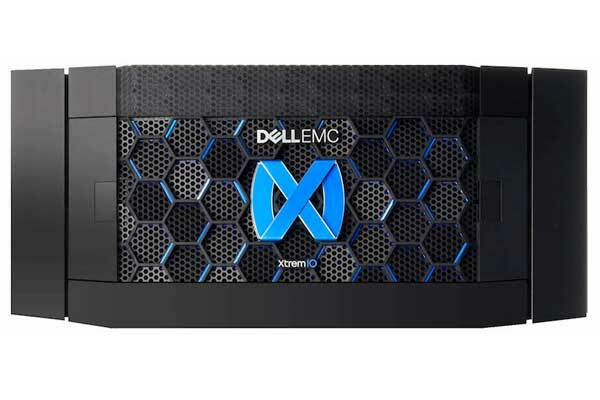 Dell EMC has amplified the strengths of the previous generation by enhancing XtremIO’s elegant software design and adding more horsepower to the hardware, it added. “The power and speed are unparalleled, but more importantly, customers of every size, every budget and every stage of IT Transformation can harness the power of enterprise-class storage to move their business forward,” he said. The SCv3000 hardware platform is significantly upgraded compared to the previous-generation SCv2000. New 6-core Intel processors, 2X the memory and 3X greater bandwidth result in a 50 per cent performance boost, with tested maximums up to 270,000 IOPS. The SCv3000 arrays are customer-installable, lowering start-up costs, but are also supported by a full range of ProSupport and ProDeploy services, including “Plus” versions – as well as the new Optimize advanced services option. Like other SC products, SCv3000 Series offers an expanding range of Dell EMC hardware and software integrations including VMware vSphere plugin support, along with support for VMware Virtual Volumes, explained El Samadoni.